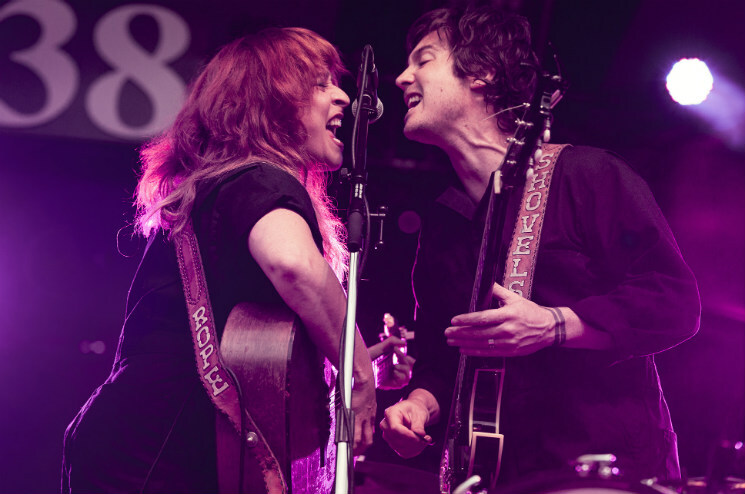 Shovels & Rope's Cary Ann Hearst and Michael Trent play a blend of folk, alternative and Southern rock that is both expressive and stunning. Harmonizing together at Edmonton Folk Fest's Main Stage, it appeared as if the duo were serenading one another as they exchanged looks and fed off each other's energy. Playing songs heavy with kick drum and snappy snare drum beats, the band gave their audience something to move to. The muddy and distorted semi-hollow guitar the husband and wife exchanged turns playing was the intense driving force behind the duet's performance. While only sharing the stage with each other, musically, Hearst and Trent were able to generate a complete sound, as if they had an entire band backing them. With the addition of some slower tempo and compassionate songs, the pair showed all sides of their creative capabilities.